Maybe this means Quavo and his fellow Migos won’t have to carry hundreds of thousands of dollars on hand for impromptu shopping trips: Manchester, UK-based online fashion retailer boohooMan has announced a collaboration with the rapper on a new Spring-Summer capsule collection, dropping Thursday, April 11. 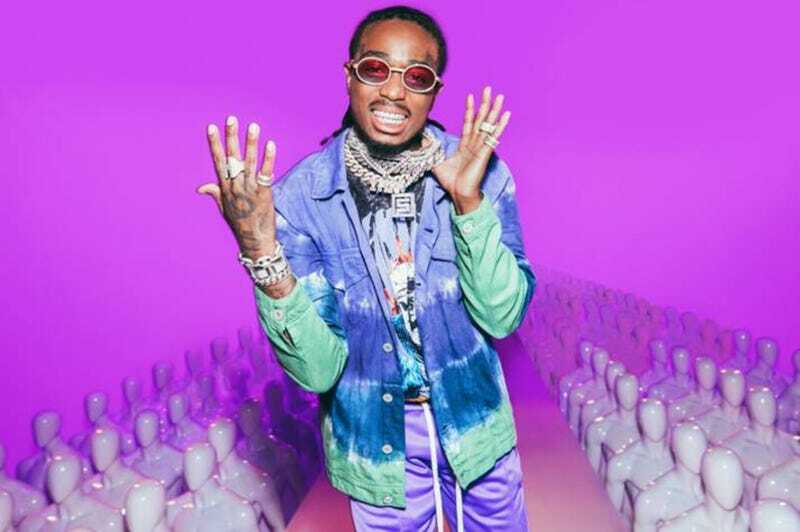 Inspired by Quavo’s bold style and eccentric taste, each item epitomizes his ‘Huncho’ persona. Directional in approach, the collection consists of statement, urban streetwear, perfect for festival season. Tie-dye sets take centre stage in the form of double denim, tracksuits and t-shirts, while psychedelic prints and 90’s silhouettes are showcased through rock tees, neon separates and bright velour two pieces. Accessories are key throughout; bucket hats, bum bags, peak caps, sliders, transparent PVC body bags and mesh utility vests are perfect finishing touches.